Many iPhone users in USA and in the world have their iPhones locked with AT&T USA as they might have bought it directly from AT&T or from someone who bought it from AT&T. I have an iPhone 3GS which I got when I was in US back in 2009, I had to come back to India after sometime of my iPhone 3GS purchase, so I paid the early termination fee on iPhone 3GS and came back to India. To continue using my iPhone, I had to jailbreak and unlock the same using Ultrasn0w tool which is usually used by many iPhone users. The problem with Ultrasnow is that it tends to drain the iPhone battery much faster because of some iPhone certificate related bugs especially on iOS4. In this article I will share with you how to officially unlock the iPhone 3G/3GS/4/4S or any other iPhone from AT&T, this tutorial holds good for all iPhones purchased from AT&T if they fulfill their eligibility requirements mentioned in the following section. 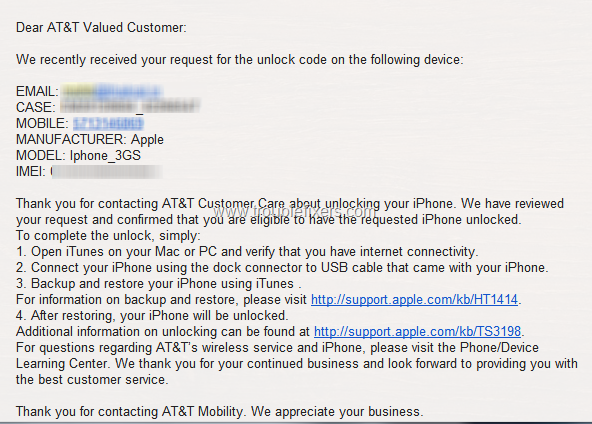 Sometime back I discovered that AT&T has started a program to official unlock the iPhones which are out of contract. Although there are certain eligibility criterion one needs to qualify to get their iPhone unlocked, these requirements are listed on the official their page here. The main reason for these terms is to ensure that the phone is never reported stolen and there are no dues pending on the AT&T account on which the phone was purchased. If you believe that you qualify for the above requirements, you can just call AT&T customer care at their helpline number which is 1-800-331-0500 (or +1800-331-0500 for people living outside of USA). After you get a successful reply from AT&T confirming that you are eligible to have rested the iPhone unlock and you get the email instructions by them, follow the steps below based on the condition of your iPhone. If your is neither jailbroken nor unlocked, then probably you might be using it on AT&T only or maybe not using it at all. To unlock such iPhone, simply connect it with iTunes, backup all the data on your iPhone (this is IMPORTANT). After backing up all the data on your iPhone, you can restore it using the iTunes only. Make sure the computer on which you are using iTunes is connected to the Internet. After the restore is complete, the iPhone will be activated by Apple servers and you can then insert any SIM card and use your iPhone with any GSM carrier. You will see unlock success message as below if all the process goes smoothly. If your iPhone is Jailbroken but not unlocked, this means you are probably using the iPhone with AT&T only and wanted to add additional functionalities by jailbreaking your iPhone. In this case, if you restore your iPhone with iTunes, you will loose the jailbreak and all the customizations which you have done after jail-breaking using cydia tweaks and apps. 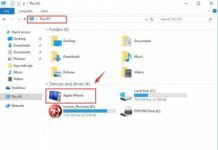 To avoid loosing jailbreak, there are few alternative method to deactivate your iPhone without an iTunes restore. Just follow the procedure mentioned below in Case 1 or Case 2 whichever applicable by skipping next paragraph. This is the third case which is with most of the iPhone users who are using iPhones on other than AT&T carriers as they had no option but to jailbreak and unlock. Many users like me might have also installed iPad baseband 0.06.15 on their iPhone sometime back and this baseband can not be downgraded with any tool as of now, but this should also not be much of a problem except that it may have some bugs which one might have to live with like loss of GPS etc. To officially unlock an iPhone which is previously unlocked by using ultrasn0w tool on a jailbroken iPhone, first uninstall the ultrasn0w from cydia. To do the same, go to Cydia, select Manage > Packages > ultrasn0w and click on remove. This will make your iPhone loose signals and you need to follow the below methods, Case 1 or Case 2 whichever is applicable. Step1 : Run Redsnow (in administrator mode in Windows) and select the iPSW file you used to jailbreak your iPhone. Step 2: Follow the instructions on the Redsn0w tool like putting the phone in DFU mode and selecting whether your iPhone is new bootrom or old one etc. until you reach the options to jailbreak. On the options screen, uncheck all the options and check just one options which says – Deactivate. When you proceed, the whole method will proceed just like in case of a jailbreak but the iPhone will be just deactivated and your previous jailbreak and cydia apps and tweaks will not be affected. 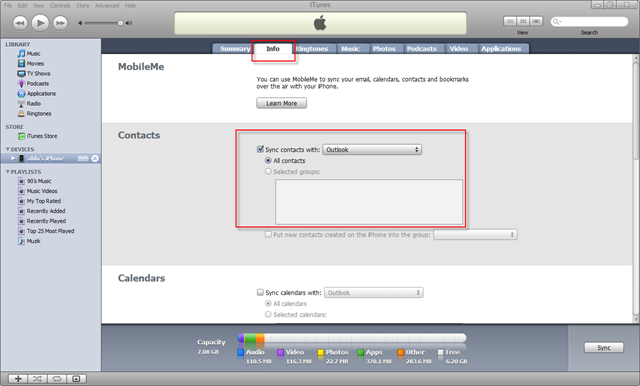 After the phone is deactivated, simply disconnect and connect again, lunch iTunes when a SIM is inserted into the iPhone and it will be activated using the iTunes software on Windows / Mac. After you have installed SAM tool, simply launch it. This will deactivate the SIM card. After the SIM card is deactivated, simply re-start the iPhone, connect it to iTunes and it will get unlocked from apple servers. Above method may cause some unexpected problems like device not been put to DFU mode, Internet connectivity problems, and other unforeseen problems. In case you get stuck, start over and try to repeat the process. In case you are not sure or don’t understand something, seek help from a friend who can help you with the troubleshooting. In most cases there should not be any problems but as a warning, we would like to suggest you to do it at your own risk. Please let us know about your experiences and suggestions related to the above tutorial by leaving a comment below. Check out some more iPhone related Tips and Tutorials here.